Virtual Reality has created many exciting opportunities in all kind of applications over the last few years and we are expecting more to come. 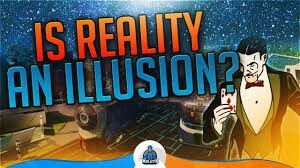 The differences between Augmented Reality (AR) and Virtual Reality (VR), is AR adds images and other digital information to people’s view of the real world, while VR completely surrounds them with a computer-generated environment. Hardware systems like Oculus Rift, Samsung Gear VR, and Google Cardboard VR have come onboard and consumers started to experience the virtual reality at their homes, outdoor places and other areas. Companies like Facebook, Google, Samsung, etc have spent millions of dollar in developing various kinds of applications, content, tools, display units, video taking modules and different types of hardware peripherals. Almost all the tech companies are speculating that virtual reality will be the new boom after the mobile phone creation. For the virtual reality to work, it comprises a collection of technologies like the 3D display, motion tracking system, input mechanism, software development tool, etc. The virtual reality allow the transportation of you, the feeling of moving from one place to another, presently in that environment and experiencing it. You feel almost real that you are there. It try to trick your brain, in particular the visual cortex and area of the brain that perceive motion you are moved to somewhere else. By creating an illusion in your brain, giving you the thought that you are at somewhere. There are more scientific evidences telling us the virtual reality can actually help to improve our brain power. More researches are being done to reinforce this finding and we are seeing growing number of companies put effort on it. 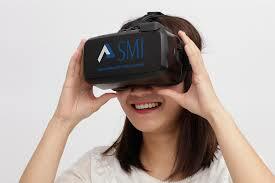 One of the devices that gain popularity is the Virtual Reality Headset. There are many types of VR headset in the market and how do we choose the correct and right one is a challenge to most of the consumers. I will be reviewing various types of VR headset and decide which one is more suitable to your needs. 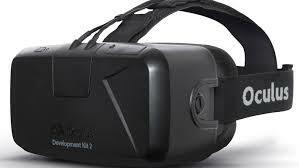 As of writing, Oculus Rift is the best virtual reality headset in the consumer market with affordable pricing. The retail price for Oculus Rift Headset is US$599 normally. 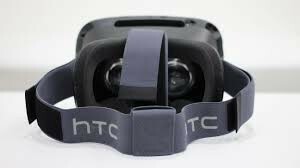 Vive developed by HTC Corporation in Taiwan just released in April 2016 and already gain a lot of fans in the market. It delivers the promise of the Virtual Reality technology with best-in-class features. So far, 50 Window games have been launched for this device and expect more to be coming. Price of Vive is very similar to Facebook’s Oculus Rift. The HTC’s Vive costs US$799 at current market price, and you need a PC which costs about US$999 to run the software. Virtual Reality offers a digital recreation of a real-life setting, and it allows the creation and enhancement to the video and computer games, as well as the 3D movies with a head-mounted display. Some hospitals have started giving their patients the Virtual Reality Headset, the purpose is to help relieve the pain. Scientists believe that the VR help to distract the patient by immersing them in the “game” they love to play. More experiments are being carried out to treat other diseases like Alzheimer, depression, etc. Virtual Reality has been considered the next mega tech through 2030. It is at a stage where mobile phone is, 15 years ago and has very large potential in many areas. Health care is one area where company want to tap on, like using VR to eliminate the fear of public speaking, in a controlled environment. There is research indicating the hardware market of VR products will be worth at US$2.8 billion by 2020. Apple is starting to explore digital glasses recently. 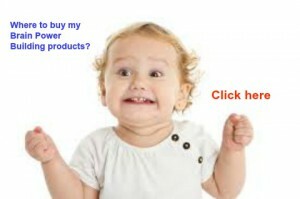 In the past few years, Apple has acquired many companies having these technology like PrimeSense, Metaio and FlybyMedia. However, there are still many challenges ahead to overcome like what Google product – Google Glass is facing (e.g. tiny battery ran out quickly and poor external design, etc). Virtual Reality is a new technology and its potential are huge to the benefit of mankind. Many companies have started to utilise VR to explore ways in using it in their products and services. One of the companies is Neurable, where its vision is to create a world where people live without limitations by using its brain-computer interface (BCI) allowing people to control software and devices using only their brain activity.